Bethany Divinity College & Seminary provides educational scholarships as part of its ongoing mission: helping students of all ages discover and utilize God’s designed roles for communicating the gospel. The Bethany scholarship program assists students in their studies at an institution for higher learning in the United States. The Bethany scholarship program helps any student pursuing Christian education. 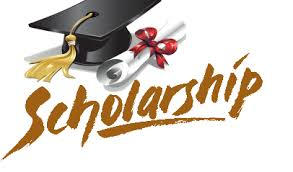 Bethany scholarships are awarded based on individual selection through recommendations from the president or administrator of Bethany Divinity College & Seminary. Bethany scholarship amounts vary as funding comes solely from designated gifts received throughout the year. Several recipients of these scholarships are now serving as pastors, lay ministers, teachers, and counselors in their churches, while others serve as missionaries around the world. To be considered for a Bethany scholarship, please select one of the scholarship categories below. Please tell Bethany in a one-page paper why Bethany should consider you as one of these recipients. Please print out the PDF, sign the application, and return it with your one-page paper. Don’t forget to send in your enrollment application.